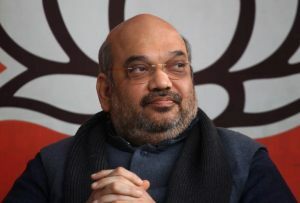 Dharwad (Karnataka), April 12 : BJP President Amit Shah on Thursday lambasted the Congress for the washout of the second half of the Budget Session of Parliament, saying a party which lacks “internal democracy” cannot protect democracy in the country. Accusing the Congress and its President Rahul Gandhi of promoting “divisive politics” in the name of caste and religion, he said the people of Karnataka will see through their tactics and give them a befitting reply in the upcoming polls. The Bharatiya Janata Party chief, who undertook the party’s day-long hunger strike here along with party’s Chief Ministerial candidate B.S. Yeddyurappa and other MPs, said what happened in Parliament in March and April was “unprecedented”. “Parliament could not function due to the stand taken by Rahul Gandhi. 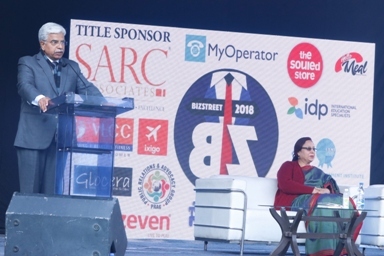 Since independence it has always been the ruling party that avoids discussion but it was for the first time that the party in power was ready for debate while the opposition lacked courage,” Shah told the gathering. He said the government was ready to discuss all issues including the multi-thousand crore Punjab National Bank fraud and special status demand for Andhra Pradesh but it was the Congress that used the smaller parties to disrupt the proceedings. “We were even ready to discuss the bank fraud case. Not a single BJP leader or minister is involved in it. But if a list of corrupt Congress leaders was to be drawn, the entire party could be found in the roll call,” he said. “Post-independence if there was any government that carried out the maximum developmental work in Andhra Pradesh, it was the Narendra Modi-led NDA government. “Modiji, Madam Speaker (Sumitra Mahajan) and Chairman (M. Venkaiah Naidu) tried their best to persuade the opposition to allow the Budget session to be fruitful, but all went in vein. “The Congress does not believe in democracy. Rahul Baba, don’t preach us on democracy. You have forgotten that your grandmother (Indira Gandhi) imposed Emergency and muzzled people’s voices. 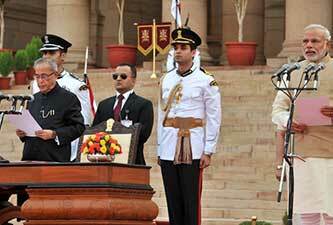 “Congress cannot save democracy in the country as it has no internal democracy,” Shah said. The BJP chief also accused the Congress of promoting divisive politics in their lust for power. “It has been the Congress nature to promote divisive politics in the name of caste and religion. The people of this country understand all these tactics. Citing a conversation Shah had with a reporter at the Lucknow airport, he said he was of the view that Rahul Gandhi has been working hard in Karnataka as it was the only state, besides Puducherry, that is left under its rule. “But you know what the reporter told me… he said Karnataka is ATM of corruption for Congress. He is working hard to save the only ATM left in the country,” he said.